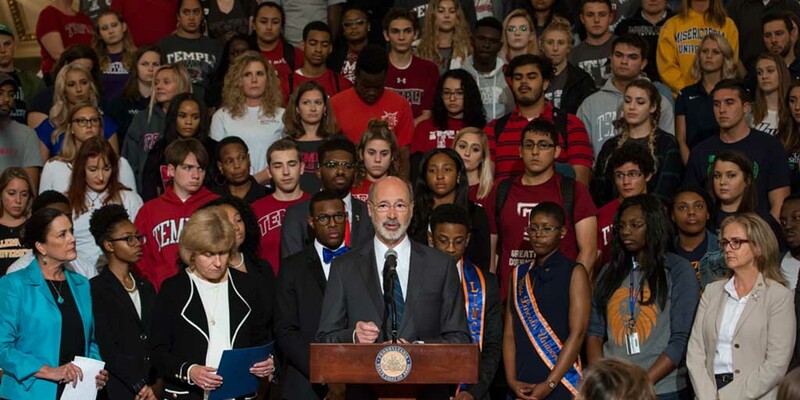 Harrisburg, PA – Governor Tom Wolf continues to expand his commitment to combating sexual assault on Pennsylvania college and university campuses. Today, at an event at Temple University in Philadelphia, the Department of Education announced 39 postsecondary institutions across the state will receive more than $950,000 in It’s On Us PA grants. In 2017 the Wolf Administration awarded nearly a million dollars in It’s On Us PA grants to 36 Pennsylvania postsecondary institutions.